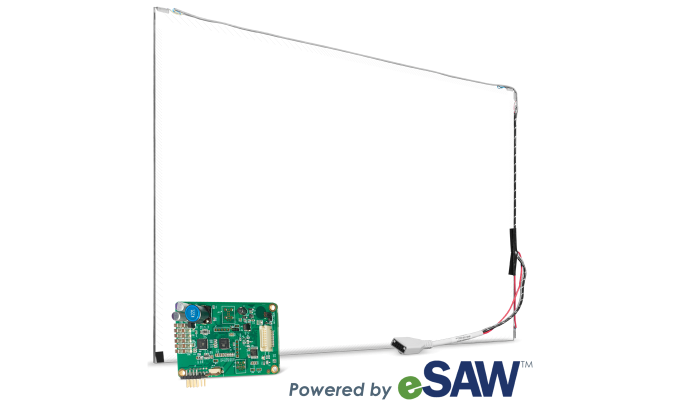 IntelliTouch Surface Acoustic Wave (SAW) is a cost-effective alternative to projected capacitive (PCAP) touch technology that offers better optical clarity with significantly smaller border width and an edge designed for your bezeled applications. Three axes of touch information are used to precisely discern two simultaneous touch locations anywhere on the screen. IntelliTouch solutions offer a simple bill of material, a less complex manufacturing and touchscreen integration process, and less capital investment than PCAP technologies. 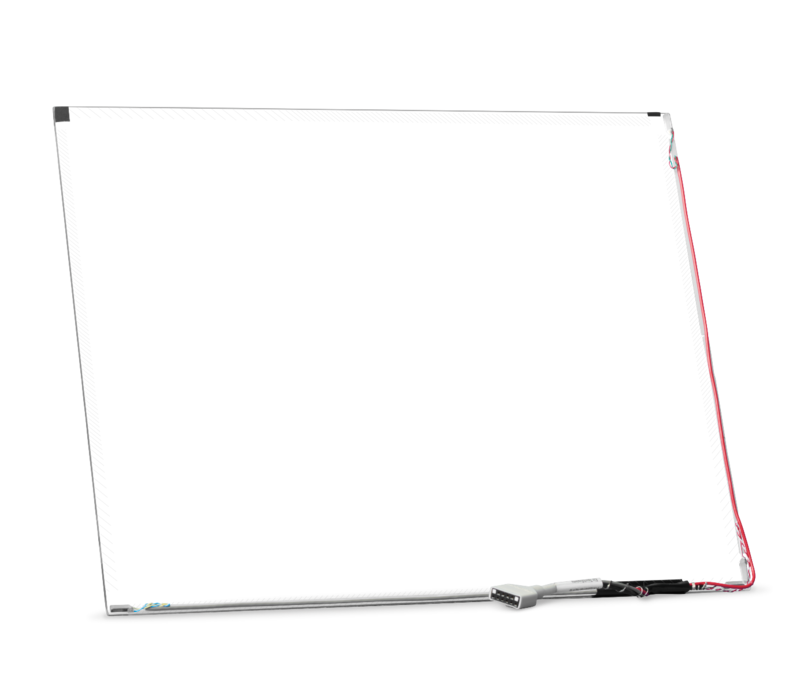 When combined with Elo's 3200-series controller, powered by eSAW™ technology, IntelliTouch offers an extreme touch performance of 4Xs the sensitivity of traditional SAW touchscreens. 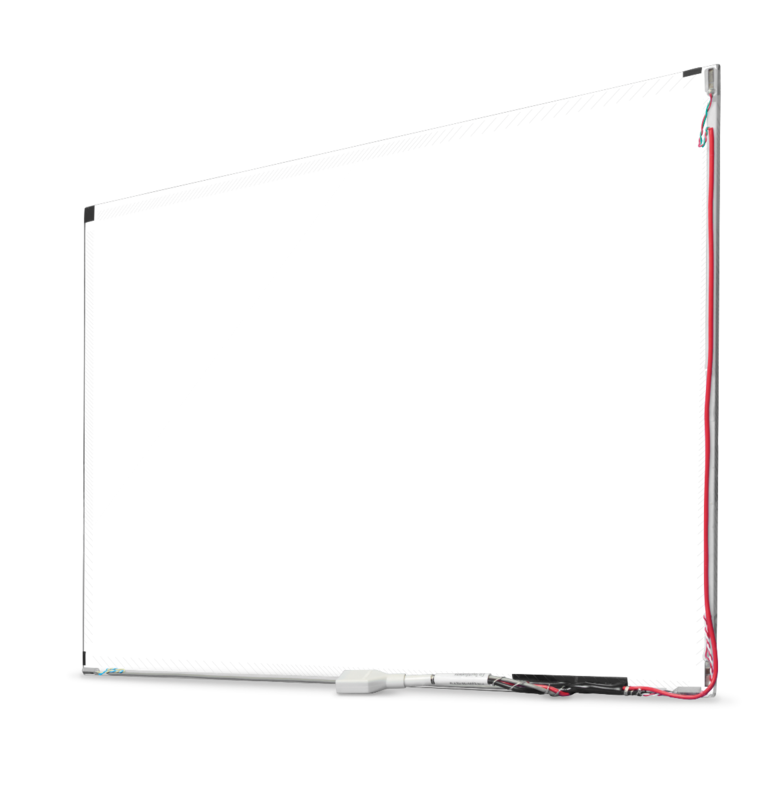 SAW touchscreen technology delivers superior image clarity, resolution, light transmission, and reliability because it utilizes clear glass that continues to work even if scratched. There are no coatings, plastic films or moving parts to wear out or be damaged. 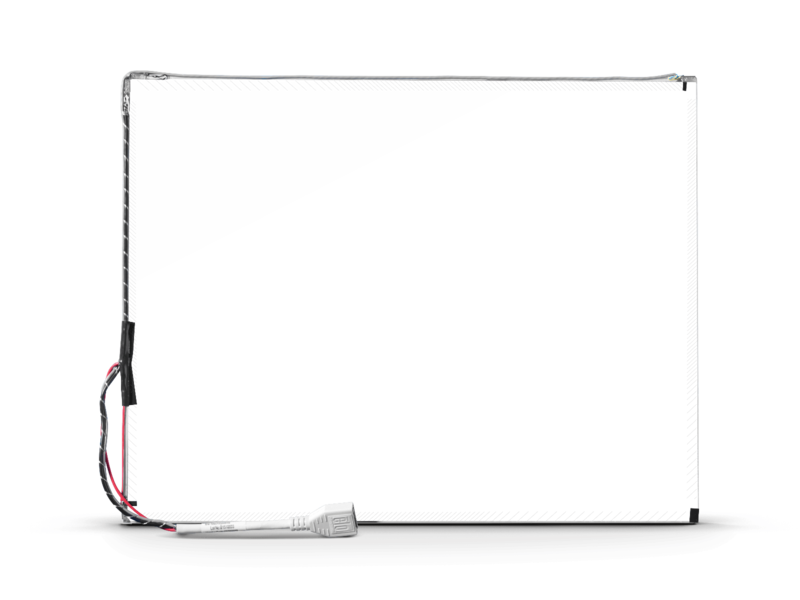 The active area of the touchscreen is resistant to chemicals such as acetone, toluene, methyl ethyl ketone, isopropyl alcohol, methyl alcohol, ethyl acetate, ammonia-based glass cleaners, gasoline, kerosene, and vinegar. The stable, drift-free operation of Surface Acoustic Wave touchscreen technology provides an accurate touch response measured on three axes using a finger, gloved hand, or passive stylus. Elo’s sensitive touch response recognizes location and amount of pressure applied. Elo has tested IntelliTouch touchscreens to more than 50 million touches in one location without failure, using a stylus simulating a finger. Customization capabilities include logos, clear icons, border buttons, and other enhancements can be added during the design cycle. IntelliTouch can scale across a wide range of screen sizes, without performance degradation. With SecureTouch®, the strength of the touchscreen can be increased by increasing the thickness of the glass up to 12mm.